#5 Coil Separating Zippers—looks like metal, but they’re nylon. 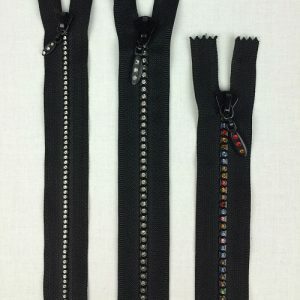 Zippers can be easily shortened. 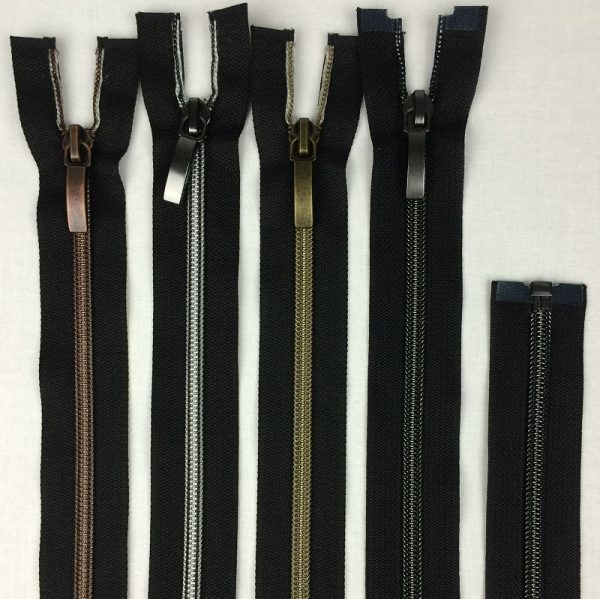 Additional pulls available to make shorter zippers. 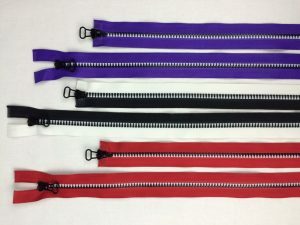 Use leftover zipper parts as trim on pockets or accessories. 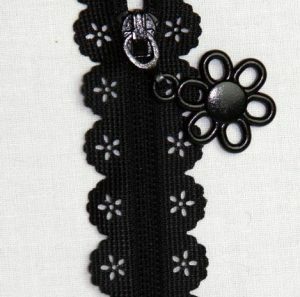 Create jewelry or other craft projects.